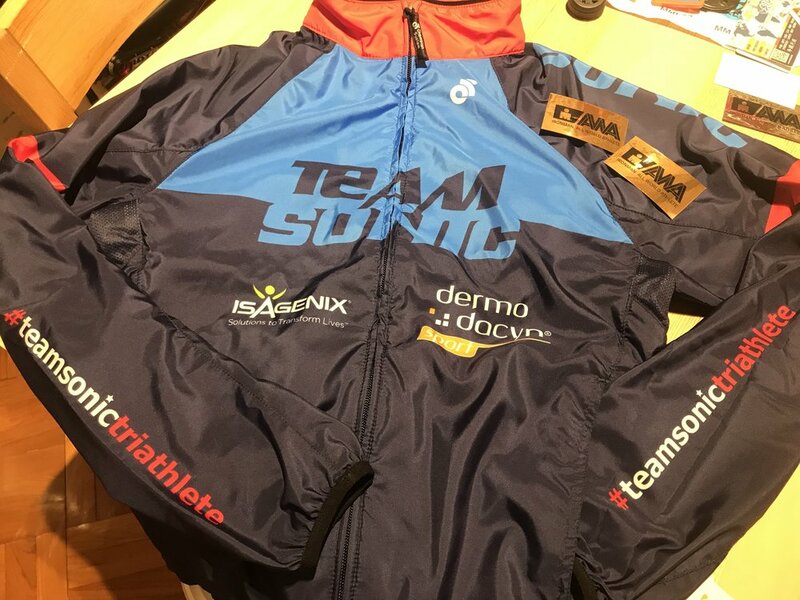 Full range of team kits from Triathlon suits, cycling jersey to jacket. All the item are order on demand. It would take approximately 4-6 weeks on the lead time from the club to place order to supplier until delivery. Once the club kits is available we will contact you for pickup. Please contact sonicsports@gmail.com in case you'd like to follow up the status. You can always login https://myevents.active.com with your membership email/password to re-order any club kits you'd like. 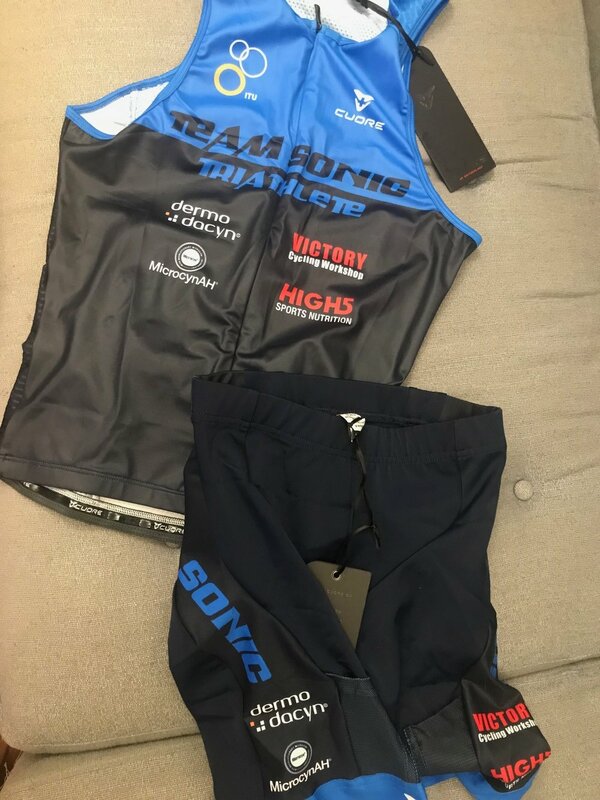 ITU Trisuit made by Champion System. Adult version is CS ITU Elite Trisuit, Children version is CS Performance Classic. Your Last name and nationality will be printed on the ITU Trisuit based on your membership profile. ITU Trisuit made by Champion System. Using the female version of CS ITU Elite Trisuit. Your lastname and nationality will be printed on the ITU Trisuit based on your membership profile. Shortsleeve Trisuit by CUORE. For long course triathlon with 4 pockets at the back. The Tri-Top is made by CUORE. It's design for long distance race with two pockets at the back. Tri-Shorts is made by CUORE. It's design for long distance race with two pockets. Female version is 2 inch shorter. 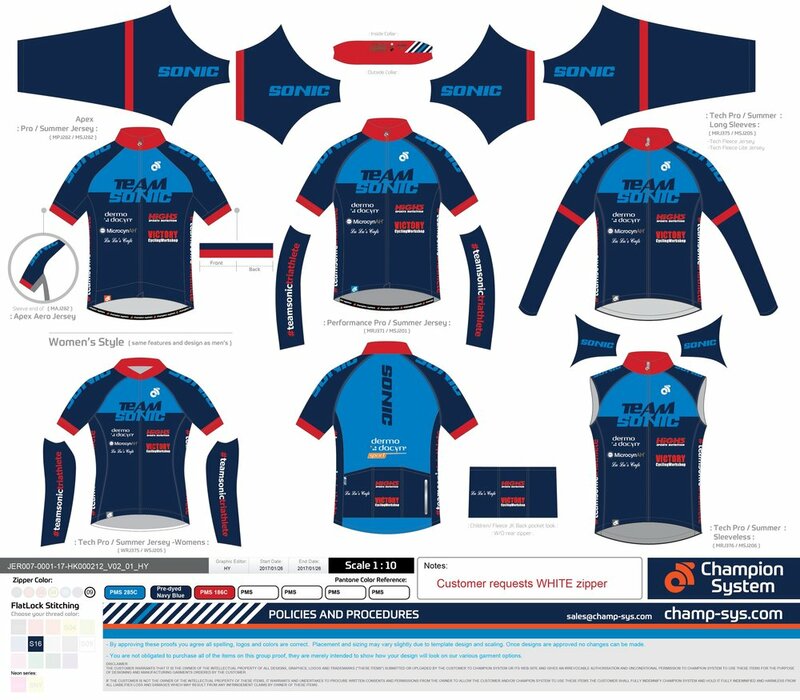 We use the same design for the full range of cycling kits by Champion Systems.